P Ramdas introduced the neo-realistic wave in Malayalam cinema during the 1950s through his path breaking movie 'Newspaper Boy'. A still from ‘Newspaper Boy’. Yesteryear veteran director P Ramdas, who introduced the neo-realistic wave in Malayalam cinema during the 1950s through his path breaking movie “Newspaper Boy”, has passed away at a hospital here. Ramdas (83) died following age-related ailments yesterday. He is survived by his two sons, family sources said. Breaking the traditional notions and techniques of cinema, he stepped into the tinsel town with “Newspaper Boy”, a social drama on the lives of a printing worker and his family, at the age of 22. Though the movie, released on May 13, 1955, bombed at the box office, it won wide critical acclaim. 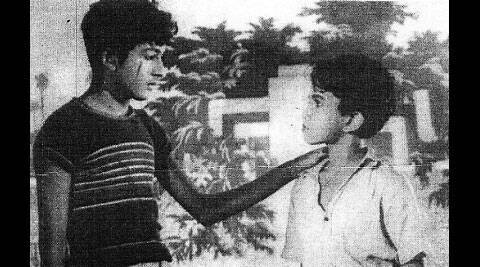 Ramdas also produced two more feature films– “Nirapara” in 1976 and “Vadakaveettile Adithi” in 1981. However, financial setbacks forced the veteran to keep away from mainstream cinema world for the rest of his life. Kerala government had honoured him by presenting him with the prestigious ‘JC Daniel Award’ in 2007.